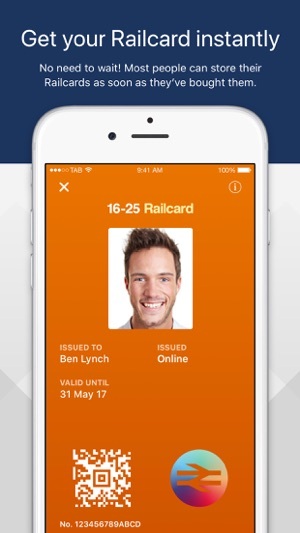 Get quick and easy access to discounted rail fares from your mobile phone with the Railcard iOS app! With a Railcard, you’ll enjoy ⅓ off fares when you go by train. Never forget your Railcard again- Your Railcard will be stored on your mobile, ready for your next train journey. 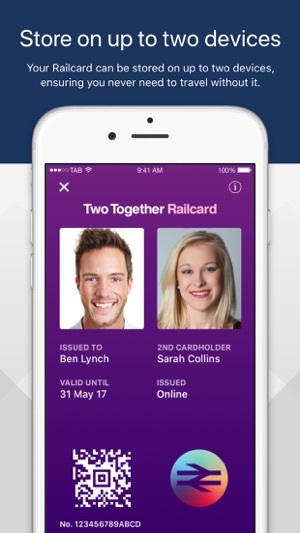 Suitable for storing newly-purchased 16-25 Railcards, Family & Friends Railcard, Senior Railcards, Two Together Railcards, Disabled Persons Railcard and Network Railcards. Download the app to find out which card you may be eligible for. 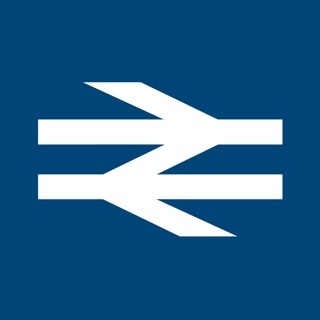 *Most Railcards are available instantly on your mobile. However, if you’re a mature student who wishes to buy a 16-25 Railcard, or have a disability and wish to buy a Disabled Person's Railcard, your application requires you to submit evidence of eligibility. These applications will not be available instantly, as they will require approval before releasing the Railcard (Typically 48 hours). - We also made some changes to the "Contact us screen"
We have, after workarounds, successfully purchased a Two Together Railcard, but it should not have been so hard. The app is a front end to a web site, and one of the first things one must enter is a UK address and phone number. It will not accept my US data. So the workaround: provide a valid UK address and phone (we used our first hotel destination). The billing page allows for a different address and if you scroll down far enough, you see “country.” Hope dawns! Here I was able to provide my US address and the rest went okay. As part of confirmation, they do repeat validation instructions. It’s a neat result (we find out for sure in a few weeks), but a confusing script. UK Rail-card is really an asset to US citizens traveling to UK. I believe the customer service and their response time is amazing. They gave us the options for the Rail-card process if you don’t have an local address. This was so productive for true travelers. We’re so excited to the rail pass for the whole year. We are hoping for a fun filled travels in UK in June 2018. cheers! So darn easy to buy and install.